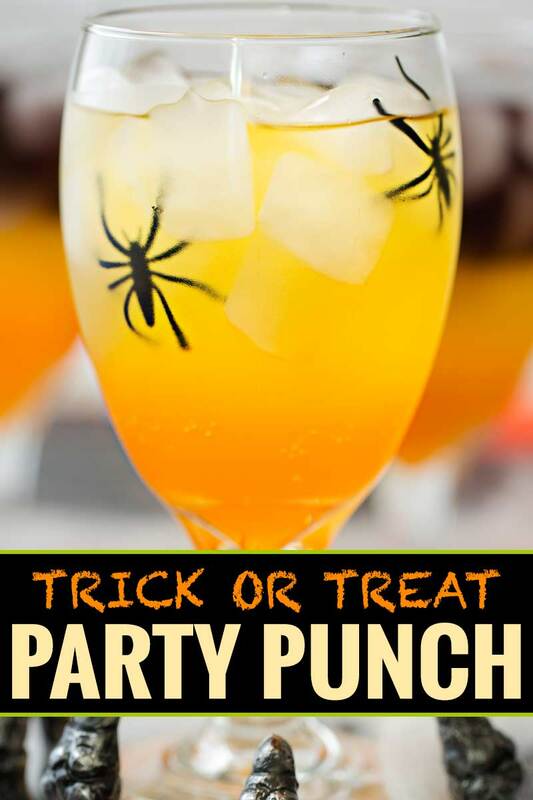 This non-alcoholic trick or treat party punch is a fabulous drink that everyone can enjoy! Want alcohol? It’s easy to add a splash or two! Going out for trick or treat? 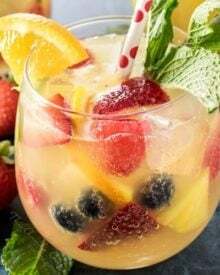 Pour a glass of this sweet layered party punch when you come back! 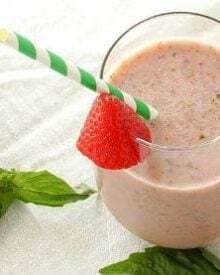 Even the kids can enjoy this drink, as there’s no alcohol… although, for the adults that would like a splash or two, it’s easy to add some vodka! I know we’re not even into October yet, but I’m starting to get excited for Halloween! For the first time in a long time, I’ll even be dressing up this year. 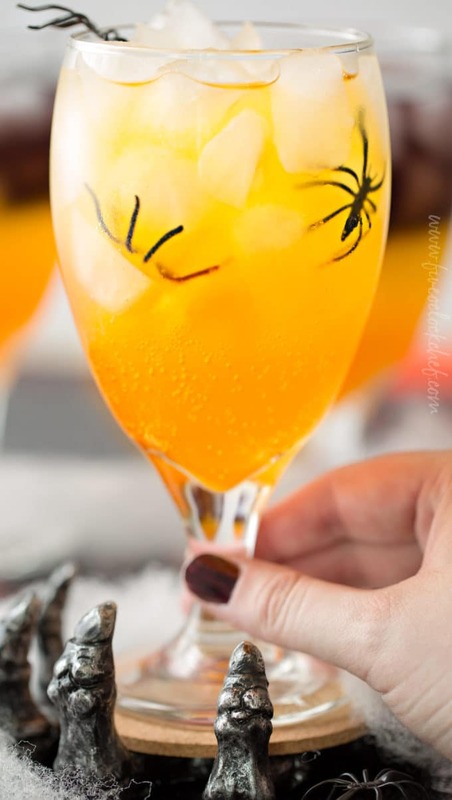 In case you’re getting in the Halloween spirit like I am, I’ve got a few themed cocktails on the blog! 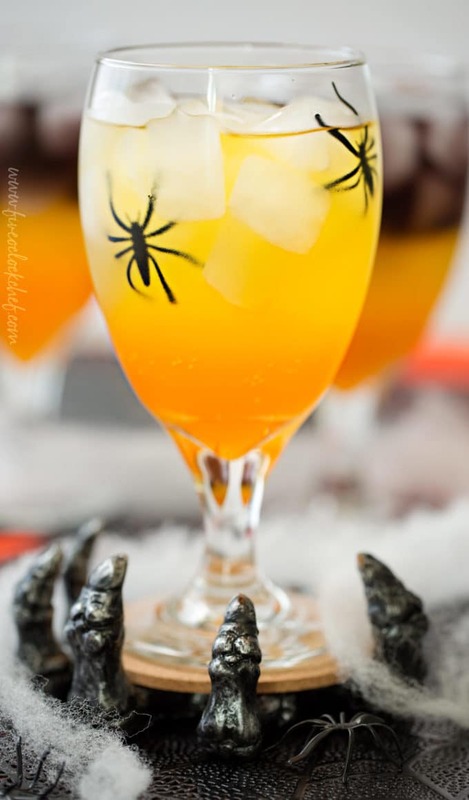 Witches Brew, Poisoned Apple, and this Trick or Treat party punch! 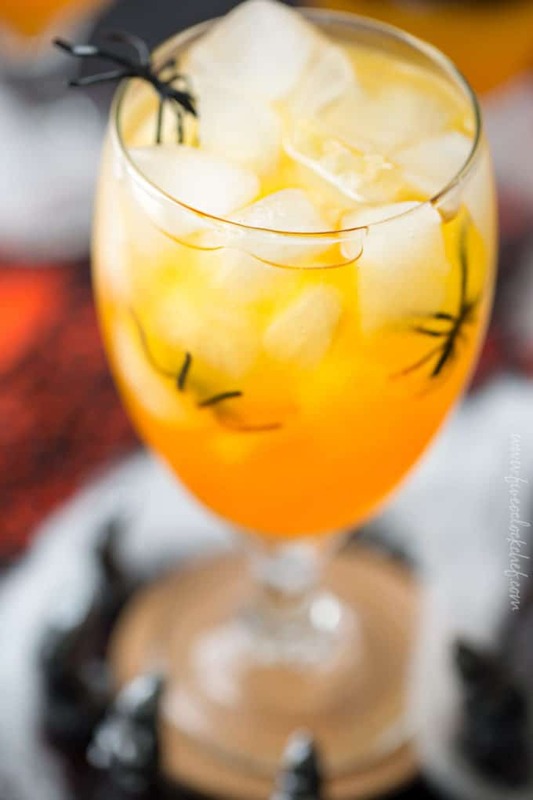 Technically this trick or treat punch isn’t a cocktail, since there’s no alcohol in the recipe as it’s written, but who am I to stop you if you wanted to add a splash or two! Traditionally layered drinks are made with alcohols, and for those you’ll want to know each alcohol’s specific gravity, with the highest number being on the bottom, working up to the lowest. For this drink, I wanted a punch that everyone can enjoy, with no alcohol, so we go by sugar content. The bottom layer has to have the highest sugar content. I’ve made these with Crush soda and super sweetened orange kool-aid. The top layer has to have less sugar than the bottom. I like to use Gatorade G2 low calorie lemon lime… but have also used a sugar-free lemon lime/lemonade kool-aid. The greater the sugar content difference, the better the layers will be separated. If you use a carbonated drink on the bottom, like Crush, it will be more hazy (like in my photos). 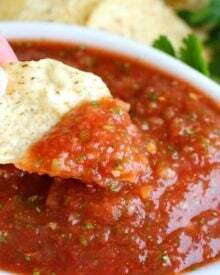 Pour the second (top) layer VERY slowly, and pour it over a big ice cube or over a spoon held upside down right over the bottom layer. 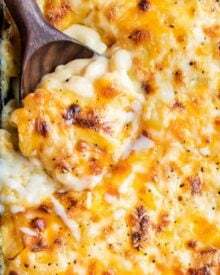 You want the top layer to gently lay on top, not be sloshed in. If you’re wanting to add a splash of alcohol to this, I’m sure you can… just do a little experimenting to see how it effects the layers. My bet would be that the safest way would be to add the alcohol to the bottom layer. Maybe add the orange liquid and alcohol to a cocktail shaker and shake it to make sure they’re well mixed? 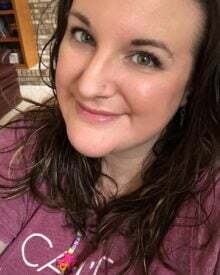 If you try it, I’d so love for you to come back and leave a comment letting me know! 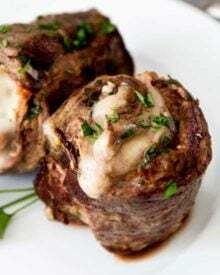 Goblets: I also use these for iced tea, and just about every kind of drink. Skeleton holder: Total random find, but I LOVE it! Fake cobwebs: Classic… I bet you went to a few Halloween parties with these! Fake spiders: Not exactly realistic looking, but fun nonetheless! 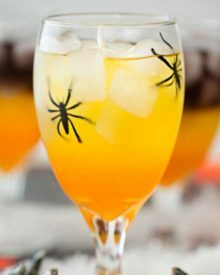 This non-alcoholic trick or treat party punch is a fabulous drink that everyone can enjoy! Fill serving glasses all the way up with ice cubes. Scatter spiders throughout ice, if using. Tilt glass slightly and pour in orange liquid, about 1/3 - 1/2 way up. Very slowly pour in the yellow liquid, over an ice cube or an upside down spoon, until glass is filled. The way this drink works is that the liquid with the highest sugar content is on the bottom. Sugar is heavy and dense, so the heaviest liquid will settle towards the bottom. 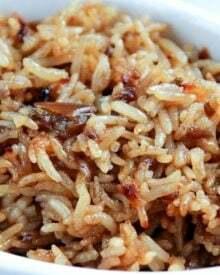 The top layer needs to be very low in sugar, or else it will mix with the bottom layer. The secret, other than the different sugar content, is in pouring VERY slowly, over either an ice cube, or an upside down spoon. You can use any colors/flavors you'd like... don't feel that you're limited to what I chose... just make sure you pay attention to the sugar content of the various colors/flavors. My glasses hold 16 1/4 oz, but you can easily adjust the amount needed to fill whatever glasses you'd prefer. Yay!! Thanks for all of these great ideas… I am so gonna have fun serving these non-alcoholic drinks for a kids party. What a fun idea for Halloween! This looks so fun!! 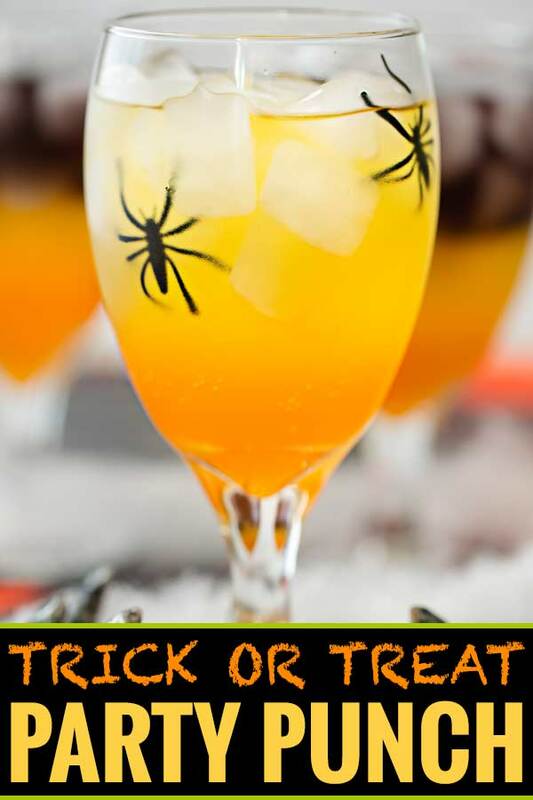 What a great drink for Halloween! So fun, my kids would have a blast with this! 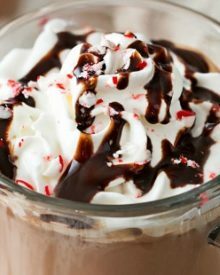 I love layered drinks! This is so fun! I love this for a kids party! Beautiful color too. This is perfect for any Halloween gathering. I love that it’s so easy so refilling it doesn’t become a huge chore.